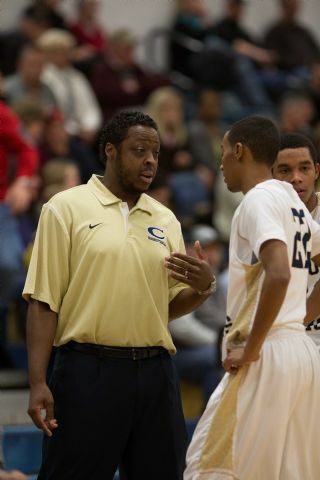 Coach Shawn Good comes to the Spectrum with 10 plus years of high school coaching experience and 12+ years of AAU playing and coaching experience. Coach Good graduated from Columbus East high school in Columbus Indiana. He is a 92′ graduate of Fork Union Military Academy where he played for Coach Fletcher Arritt. Coach Good earned a basketball scholarship for Virginia Tech from 92′-96, where he led the Hokies to the 95′ NIT championship making the All-Tournament team. In 96′ coach Good led the Hokies to the NCAA tournament, where he received first round player of the game honors and averaged 15 points a game. He also led the team in field goal percentage in 95′ and was a thousand point scorer for his career. After his career at Virginia Tech coach Good attended NBA camps held by NBA great Bill Walton. During camp coach Good worked with Bill Walton, Bob Hill formerly of the San Antonio Spurs and Hal Wissel formerly of the New Jersey Nets. Coach Good played with the AIA basketball USA Tour Team in 96′ and traveled to Brazil in 97′ to play against the national teams of Argentina, Brazil and Mexico. Coach Good is currently the Head Varsity Boys coach at Roanoke Catholic High School and was the former coach of Christiansburg High School (2012 State Champion) and Co-Founder of Just 2 Good Basketball camps in Indiana. Coach Good is married to his wife Kelly. The couple has three children Hayse, Rinnah and Gatlen. Coach Good is also Director of the Spectrum Basketball Club. Coach Good is passionate about helping kids develop the work ethic and attitude needed to be successful in life through the game of basketball!